Lynnhaven Bay is an active fishing and recreational boating harbor located at the mouth of the Chesapeake Bay just east of the Chesapeake Bay Bridge Tunnel. 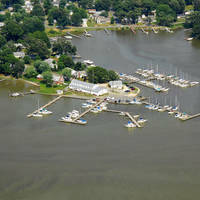 Lynnhaven Bay has an extensive network of creeks and side channels that feed it, and most of them are well marked with good depths. There are plenty of marinas, restaurants, and repair facilities in the Lynnhaven Bay area if you can clear the 35-foot fixed bridge at the inlet opening. 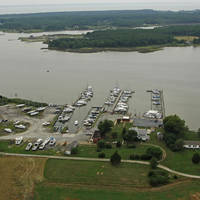 The image above is a view from the north looking south over the opening of Lynnhaven Bay where it empties into the Chesapeake Bay. 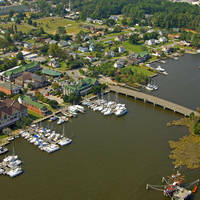 The town of Ocean Park is located to the right (west) of the inlet while Lynnhaven Shores lies to the left (east). 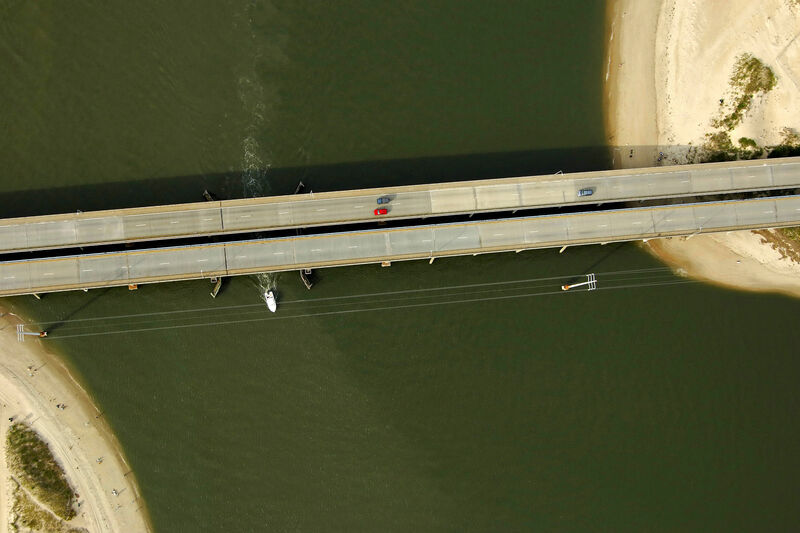 Once you have reached flashing green 1, head south toward the inlet opening making sure to follow flashing red 2, flashing green 3, flashing red 4,and then flashing red 6 just north of the inlet opening. Remember that your overhead clearance must not be more than about 33 feet to clear the fixed bridge. 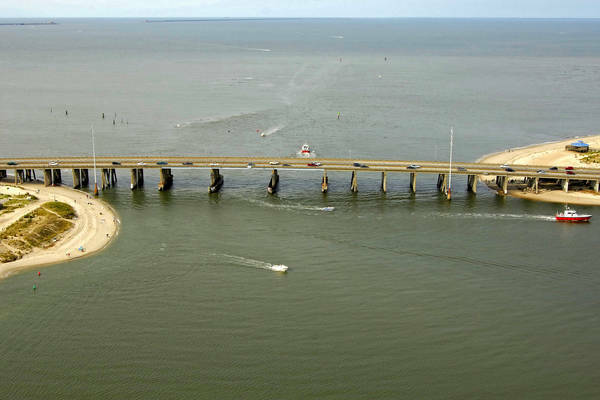 The inlet has depths of about seven feet, but there is shoaling in the bay once you get inside - make sure you follow all placed aids to navigation. No reviews yet! 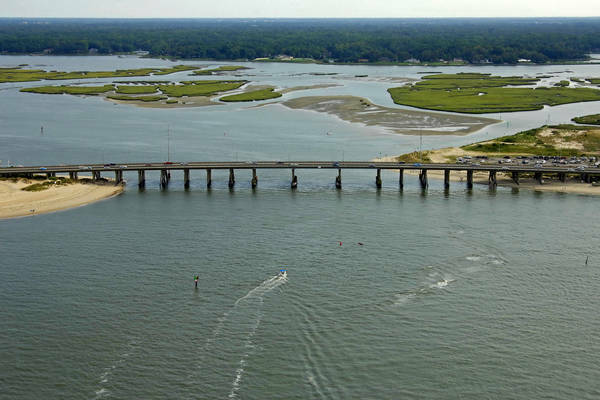 Be the first to write a review of Lynnhaven Bay Inlet.